A fall in her office? Okay, how about more details. What caused the fall? Did she fall asleep while sitting in her office chair and fall out of her chair? Seriously, I wish her no ill will and hope she has a full recovery. However, it's past time for her to retire. I don't even understand how she functions to full capacity day to day. She reminds me of the late Sen. Byrd (D-WV), bless his heart, who used to always fall asleep in the U.S. Senate. Leftists are actually calling the hospital offering their own ribs and their own organs if she needs them to keep going. I'm not kidding. RUSH: All right breaking news. 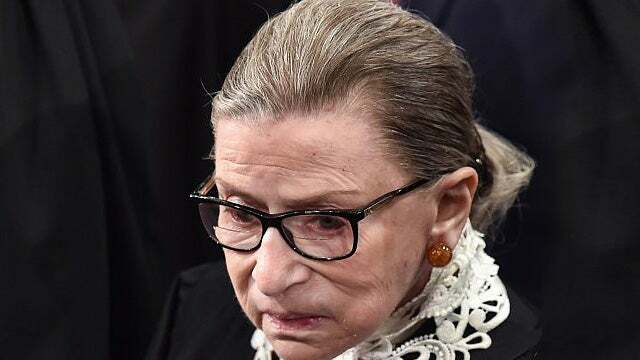 Ruth “Buzzi” Ginsburg “admitted to the hospital after fracturing three ribs in a fall.” She was taken to George Washington Hospital this morning. “According to a court spokesman, Ginsburg has fractured three ribs in the fall. Tests show she fractured three ribs on the left side.” Now, Ruth Ginsburg has survived several fights with cancer. She had heart surgery in 2014, according to CNBC. She has beaten pancreatic and colon cancer. Those are… Beating pancreatic cancer is a big deal. 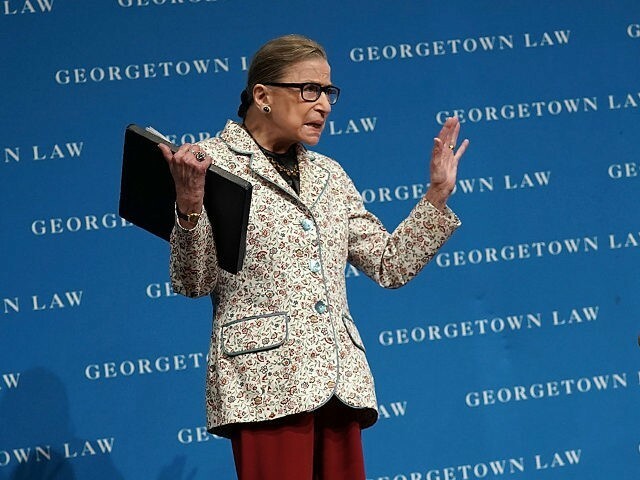 Pancreatic cancer — colon cancer, too — are two of the deadliest forms, and you remember… They had shortly around the nomination of Gorsuch and then after that Kavanaugh, remember the left put out this video of the RBG workout, the Ruth “Buzzi” Ginsburg… It looked like… Ah, I’m having a mental block on what you call it. You shadow box out there, you kickbox. Anyway, they had her out there doing that stuff, and they said when they put it out that mere mortals couldn’t hope to keep up with her. That you and me, we wouldn’t be able to last a minute doing the Ruth Bader Ginsburg workout. (laughing) They had about two seconds of it, two seconds of video where it looked like she was, ah, shadow boxing. You know, women are fascinated by boxing, I have found. They sit there and they go through the motions. That what she was doing. And now apparently young people, people under 30, are offering RBG their own ribs on social media and whatever organs that she might need. The uber-wealthy and powerful have been cut off from much of their blood supply (the border crossings were trafficking kids to them for adrenochrome extraction & sacrifice). Why do you think they are LOSING THEIR MINDS like they are? ?